Comedy was awesome because they took time to get to know us out in the audience on “Audience Appreciation Night”, and they included sections of our lives in their skits. They did the most priceless one on Jason, Brian, and I! It was awesome! 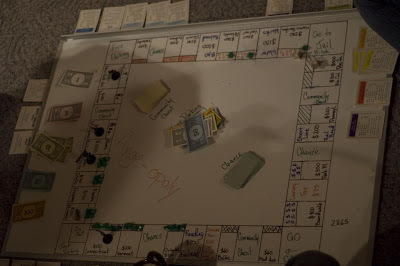 After comedy, we decided to play some Monopoly, but I have every single part except for the board! We drew it up on a white board with wet erase markers, and it was awesome! Gmail had a thing going where you submitted a max of a 10 second clip of you passing their gmail envelope along and they just finished editing up the top submissions into this quick highlight reel to promote gmail! For Tuesday evening, I had called off the film meeting because it’s not necessary to have everyone buzzing around when we have a bunch of planning to do. I went over to Mark’s place that evening and we went over a whole bunch of planning – the biggest thing that we discussed is the benefit of recording sound on set versus dubbing the voices. We’ve come to the decision that since our biggest limitation will probably be the scheduling of getting everyone together to be able to finish in time, and with the extra time it would take to make sure the sound is done right, that it would probably be a better idea to only record camera mic audio on set so that we can have a guideline for when we dub the voices in post. This also means that every thing from the footsteps to the rustle in the bushes, to a beer opening is going to have to be foley’d too. Add in the musical score, and that becomes one big audio project…. After a bunch of planning, we played a few demo’s Mark downloaded to his brand new Playstation 3! It was killer awesome to see the resolution of games, and Casino Royale off a Blue-Ray disc on his HDTV… just beautiful. I made the calls about the audition results this afternoon, and it was one of the most roller coaster love/hate things that I have ever done. Not in the way that I got marriage proposals or got death threats – it was very professionally received by everyone. What I mean is to say that calling people who made it was a very exciting task to hear their energy, but then to switch on the next call to have to tell someone they didn’t make it… it was such a quick transition that it was very strange for me. But the decisions had to be made, and someone had to deliver the message. I would never want to delegate such a personal and important task as such. My only hope is that people realize that the choices made weren’t made with any favoritism or pre-thought. We gave everyone an equal chance, and selected the best people for the role. And whatever the decision, one must remember that it’s business. Whatever happens on set is for the film, and is not to be taken personally. Anyways, later on in the evening, Britt, Jessy, Kris Schmidt, and Ange came over and I played Ange-opoly with them all! I had the entire monopoly set, except for the board – so we drew it all out on a white board and played on it! 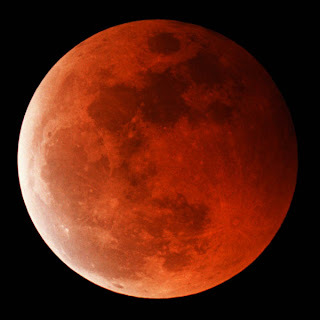 Late that night after the game, Jessy, Britt, Brian, and I sat outside with a beer and watched the lunar eclipse! It was really rad!